Disclosure: Kregel Publications sent me copies of these books free of charge for this review. All opinions in my review are my own and I did not receive any other compensation. As in all my reviews I am providing links for your ease, but receive no compensation. The Gymboree links are affiliate links where I may earn a small commission at no cost to you if you purchase through them. Thank you for supporting Crafty Moms Share! It seems like just about everyone I know is posting about new babies or new pregnancies. And almost all of them are having their second or more baby. This of course means baby gifts. Now I love all the adorable baby clothes. Gymboree has the most adorable baby clothes!! However I remember always getting baby clothes from people and the most recent baby girl already has a big sister (who has plenty of hand-me-downs for her little sister). I wanted to give this new adorable baby something more meaningful for her baptism. Kregel Publications sent me two great ideas. 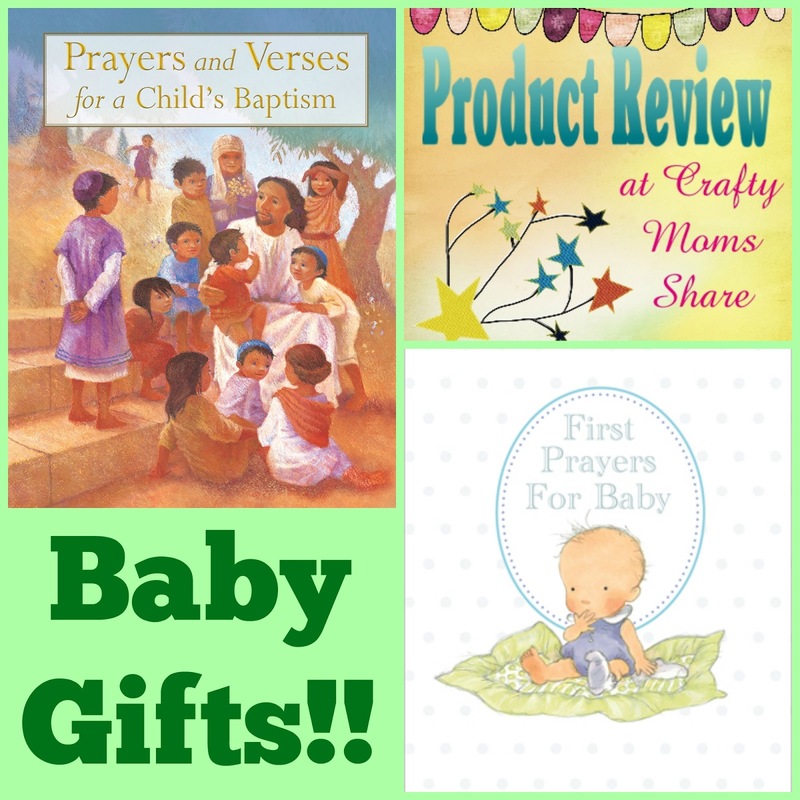 The first book is perfect for any new Christian baby at any time and does not have to be for a baptism. 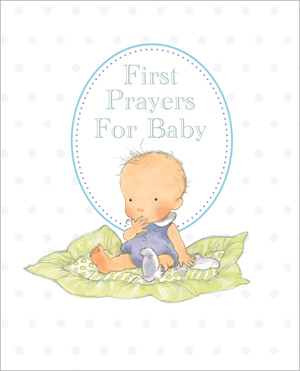 It is First Prayers for Baby, Gift Edition, by Sophie Piper and illustrated by Annabel Spenceley. 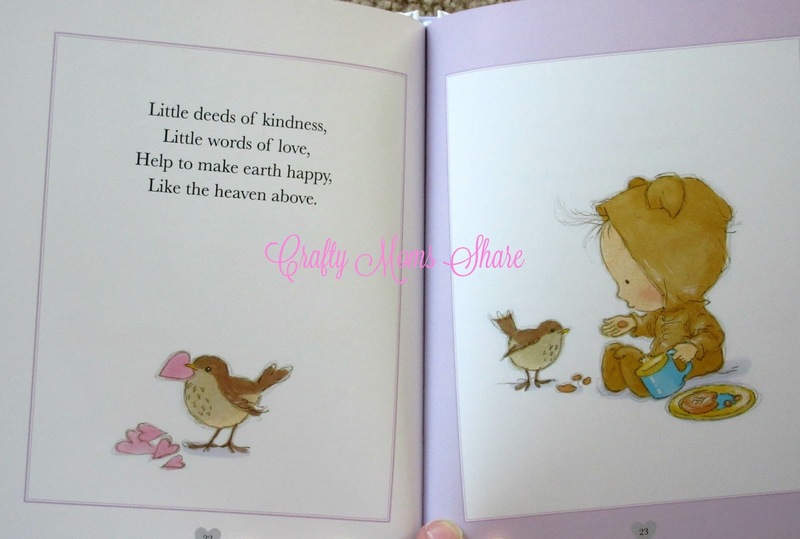 This sweet book is divided into four sections, Heart of Love, Growing Good, Wonderful World and Sweet Dreams. Each section has four to six short prayers to say for baby and each prayer has an adorable illustration. 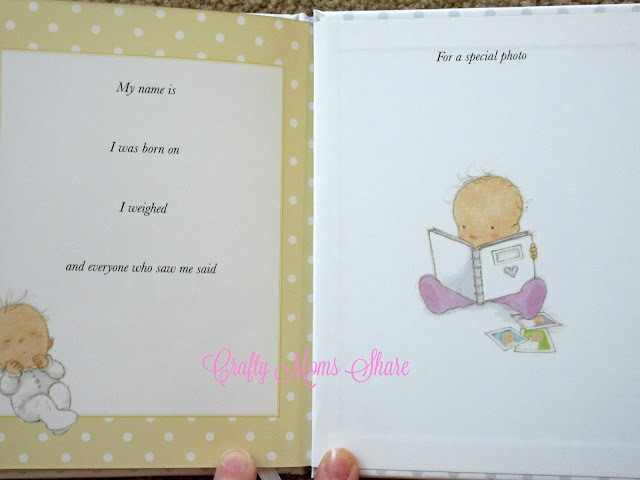 The first page has a "To:" and a "From" to fill in and then the last page and inside of the back cover has a place to fill in information about the baby as well as glue a picture. 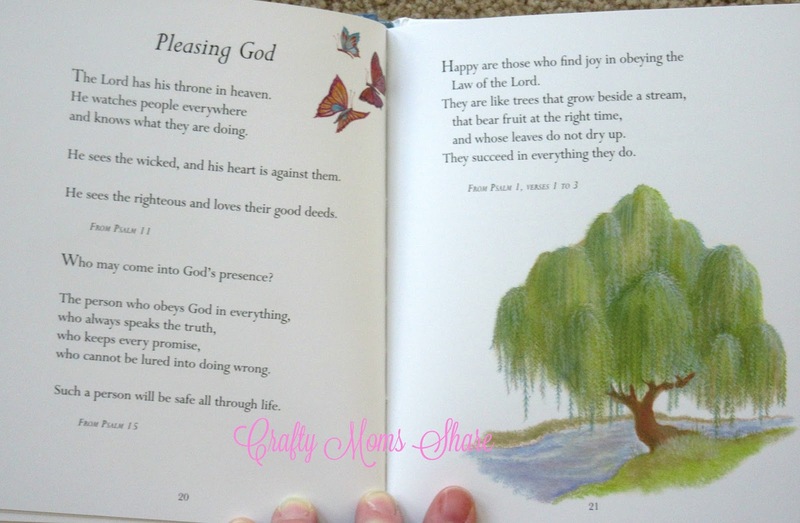 It is such a sweet book and is perfect for any baby whose parents will want to teach little prayers. 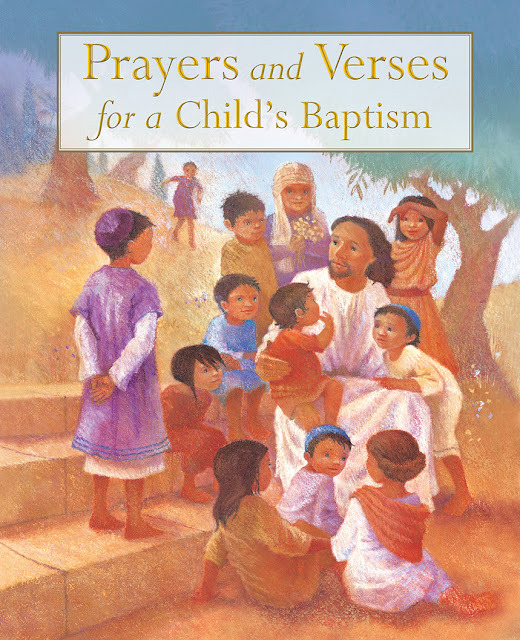 Our second book is Prayers and Verses for a Child's Baptism by Sophie Piper and illustrated by Sophy Williams. This book has seven sections with versus prayers and scriptures in them. It is really for the child to grow up with and in fact Hazel LOVES it and wants to keep it for herself. 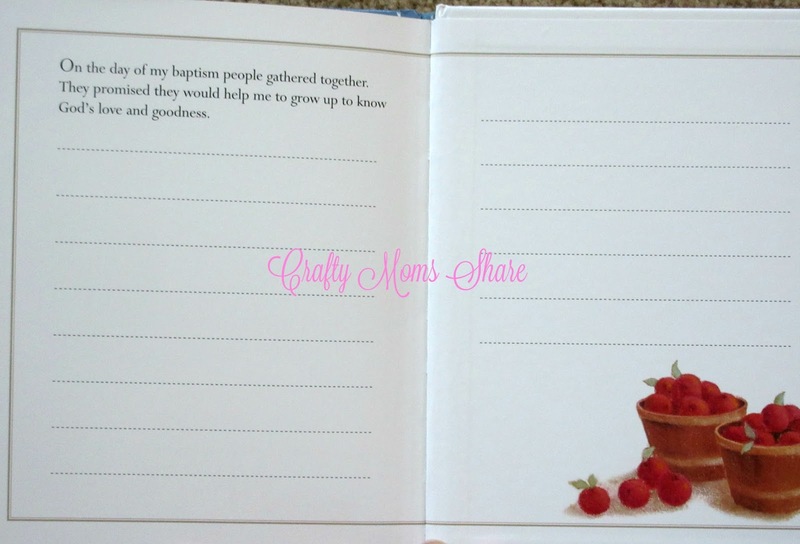 Again each page has a picture on it to go with the words shared. I see this as the perfect book for a child to be read at a young age and for him or her to read as he or she learns to read on his or her own. I know Hazel will keep reading it over and over. On the first page there is a page to dedicate the book. 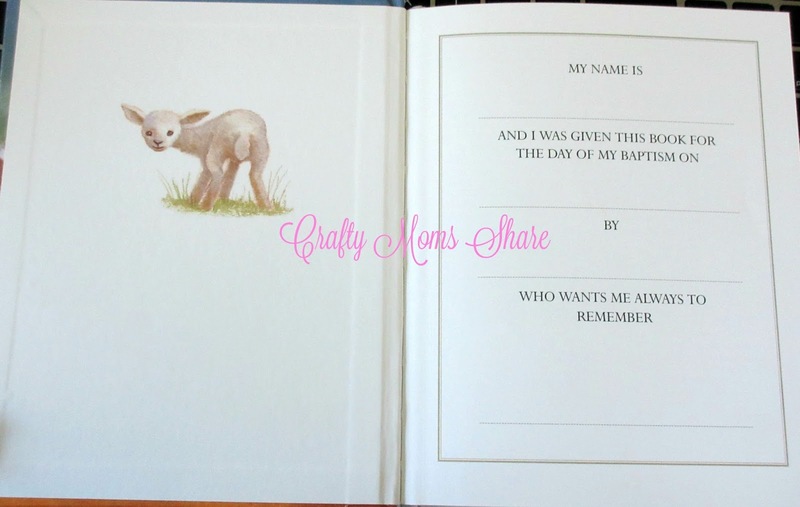 Then on the last page and back inside cover there is a place to record memories from the baptism. Now for the little baby we just welcomed and watched her baptism we are giving the first book (Hazel is insisting on keeping the second) and we gave her an adorable dress Hazel picked out at Gymboree. Then I wanted to make something special for the little peanut and remembered how much Hazel loved to play with tags on everything so I made her a personalized tagged blanket square. 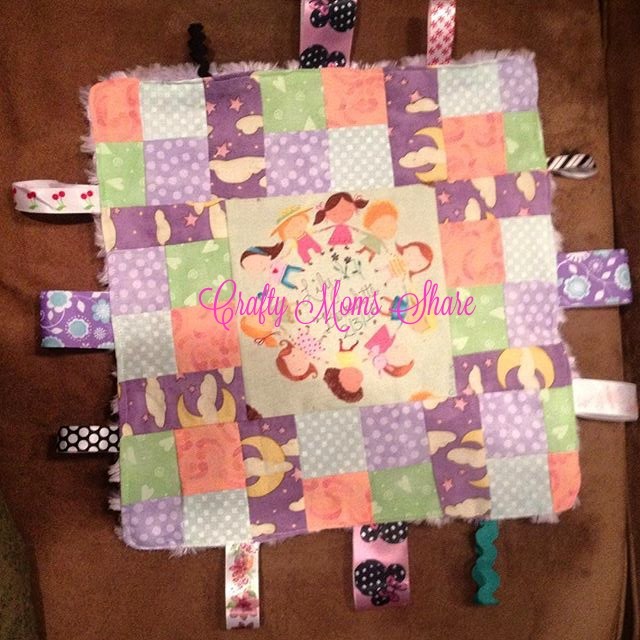 I had some four by four squares that I use to always use for baby quilts already sewn and used strips of a fun nighttime fabric and put it around a square from the ring-a-round-the-rosies fabric I bought for Hazel's quilt. In the center I wrote her name and birthdate to personalize it with a Micron pen. The backing is a softie lavender (her mom's favorite color) and then I sewed loops of ribbons and rick rack into the seam. Now the little peanut can play with the loops any time she wants. Hazel also picked out a dress from Gymboree for the gift to go with the blanket and books. So those are our ideas for all these new babies and soon to be born babies. What are your go to baby gifts? I hope you will check out these great books! !